If Thomas Floyd winces when he sees a one-liter drink bottle, you’ll have to understand. The wildlife biologist recently filtered 150 samples collected in plastic bottles from 98 Georgia streams, a patience-testing process that took as long as an hour per container. Yet, what Floyd hopes to find is worth the strain. As part of State Wildlife Grants work with the Georgia-based conservation organization The Orianne Society, he’s searching for DNA from eastern hellbenders. Or, are there hellbenders in the sampled stretch of stream or not. Found in Georgia in the clear, cold streams of the Tennessee River drainage, eastern hellbenders are North America’s largest salamanders, wide-mouthed creatures that grow longer than 2 feet. 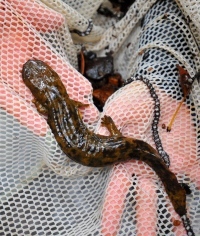 Floyd, of the Department of Natural Resources’ Nongame Conservation Section, has surveyed north Georgia for hellbenders since 2011, exploring abundance, distribution and population changes of a species petitioned for listing under the Endangered Species Act (“Hunting for hellbenders,” September 2011). But that involves wading streams and flipping big rocks to catch a slippery amphibian aptly nicknamed snot otter. Instead, Floyd’s water samples can document hellbenders by DNA in skin particles sloughed-off by the animals and carried in the stream flow. In eDNA or environmental DNA – the phrase coined for recent research to detect the presence of aquatic species, from giant Pacific salamanders in the Pacific Northwest to invasive American bullfrogs in France – DNA or cells are filtered from water samples and species are identified by molecular markers. Analysis of Floyd’s samples, due this year from the University of Idaho, will help document the distribution of hellbenders in Georgia, augmenting his rock-flipping surveys and possibly confirming historical sites and revealing new ones. 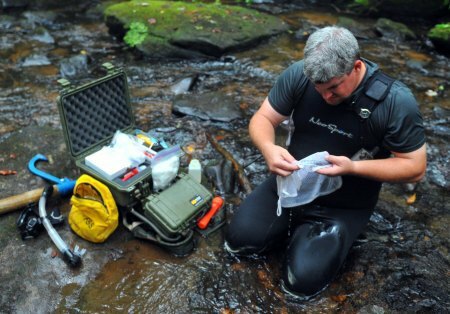 Also, a developing method aimed at using DNA to gauge hellbender abundance will be explored. “We’ll see if we can tease out abundance based on just a water sample,” Floyd said. Which, for him, may make the sight of a one-liter bottle a little easier to take. Survey efforts led by Thomas Floyd are profiled in this recent episode of Discovery Channel's Daily Planet. We asked for your thoughts on Georgia Wild, and you gave them. Lots of them! The recent reader survey about the newsletter provided helpful insights into how you view and are affected by the newsletter. 94 percent of respondents agree or strongly agree that Georgia Wild keeps them informed of nongame conservation efforts. 65 percent did not know before receiving Georgia Wild that DNR’s Nongame Conservation Section receives no state funds to conserve nongame. 56 percent rate "Headlines" as their favorite part of the enews. Five fortunate survey-takers were picked for a free eagle license plate T-shirt. Winners hailed from Fitzgerald, Dunwoody, Jonesboro, Perry and Roswell. Thanks to all who took part. Using your responses, we will be considering ways to make Georgia Wild even more interesting and useful. Do you know someone who might enjoy Georgia Wild? Subscribing is free and easy. Just send them this link. Red knots and Georgia rockcress could soon be considered threatened species under the nation’s Endangered Species Act. U.S. Fish and Wildlife Service proposals to list the robin-sized shorebird and the perennial herb mean both are likely to face danger of extinction in the near future in all or a significant part of their ranges. Georgia rockcress (right) has been documented only in Georgia and Alabama. The proposal would also designate 786 acres of critical habitat in both states, including tracts in six west Georgia counties – Gordon, Floyd, Harris, Muscogee, Chattahoochee and Clay. 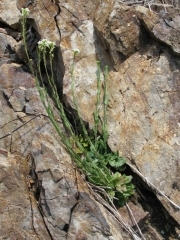 Rockcress is generally found on steep river bluffs. Only about 5,000 plants exist. The primary threat: invasive species coupled with habitat degradation. Rockcress fact sheet. Read more: "Comeback at Blacks Bluff " (April 2011). Red knots migrate each year from the Canadian Arctic to southern Argentina, with Georgia’s Altamaha River delta considered a key migration stopover area. Climate and other environmental changes undermining food supplies and habitat have squeezed the species. Knot populations have declined as much as 75 percent since the 1980s, with the steepest decreases occurring after 2000, according to the Fish and Wildlife Service. Learn more. The public can comment on the red knot proposal until Nov. 29, and Nov. 12 for rockcress. Did you know … Red knots are one of the animal kingdom’s longest-distance migrants. Some fly more than 9,300 miles each spring from the southern tip of South America in Tierra del Fuego to breeding grounds in the Canadian Arctic, and back again in the fall. You may have heard this before, but it’s worth repeating: Wildlife watching, hunting and fishing added billions to Georgia’s economy in 2006, according to the 2011 National Survey of Fishing, Hunting, and Wildlife-Associated Recreation. 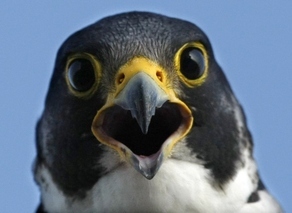 The comprehensive status check completed by the Fish and Wildlife Service every five years also says the number of wildlife watchers in Georgia grew by more than 400,000 since 2006, while in-state spending on wildlife watching topped $1.8 billion, with about $890 million spent on equipment and another $839 million on trips. Wildlife Resources Division Director Dan Forster has been named president of the Association of Fish & Wildlife Agencies. The organization’s governing board is made up of fish and wildlife agency directors from state and provincial governments including all 50 states, U.S. territories, Canada and Mexico. Forster, a Georgia native and Wildlife Resources director since 2004, has served the association in a number of leadership roles. The public’s take on measures to reduce the risk of North Atlantic right whales and other large whales becoming entangled in vertical fishing gear lines – such as those attached to lobster pots – are posted on NOAA Fisheries’ site. The summaries regarding proposed changes to the Atlantic Large Whale Take Reduction Plan recap hearings held from Maine to Florida, and including one in Brunswick. Right whales aren’t the only whale found off Georgia’s coast, of course. In mid-September, a Kogia – cousin to the larger sperm whale – stranded alive on St. Simons Island, but was pushed back into the water by the public and has not been relocated. While it’s not known if the Kogia was a dwarf or a pygmy sperm whale, the two species made up 15 percent of marine mammals strandings in the state since 2001, second only to bottlenose dolphins at 75 percent, according to the Georgia Marine Mammal Stranding Network. Did you know ... Kogia are rarely seen alive in their natural habitat. Most of what scientists know about these species comes from research on stranded specimens. Flathead catfish were confirmed this summer in the Ochlockonee River, according to Fisheries Management Section staff with DNR’s Wildlife Resources Division. The good news: Catch rates of the voracious invasive species are low and may stay that way due to the size of the southwest Georgia river. Read more: Satilla River totals in last issue’s Noteworthy section. The war on invasives is also restoring 800 acres of pine savannah habitat at Chicksawhatchee Wildlife Management Area near Albany. Nongame Conservation Section’s Alan Isler and Danny Smith recently treated nearly 500 acres of the area to kill exotic plants and native, “off-site” hardwoods considered invasive because they, like the exotics, choke out native ground cover associated with pine savannas. Swim like a dolphin? A bottlenose dolphin was able to swim free Sept. 16 after Nongame and UGA Marine Extension Service staff cut a crab pot line the dolphin’s tail had become entangled in. Photos of its dorsal fin were taken, adding this 1- to 2-year-old dolphin to a research database for future identification. Watch the video! Have you subscribed to the Wildlife Resources Division's YouTube channel? Click the red subscribe box to stay in the know with the latest informative and downright cool videos about wildlife and the Georgia outdoors. House-hunting owls have a few new sites to consider at Chattahoochee Bend State Park near Newnan. DNR’s Tree Climbing Team, which includes staff, volunteers and Boy Scouts, put up four owl boxes in trees at the park at last month as part of a canopy research project. See photos. Contact the climbing team. 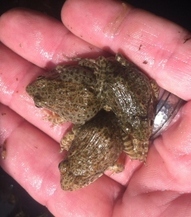 Gopher frog restoration at The Nature Conservancy’s Williams Bluffs Preserve near Blakely is hopping, with 1,046 metamorphs (latest pictured) released this summer. The Nongame Conservation Section and project partners have worked since 2007 to establish a self-sustaining, breeding population of the rare frogs at Williams Bluffs, a goal that appears closer with the discovery this year of the first egg mass. Read more: Nongame Conservation’s annual report. Names in the news: DNR wildlife biologist Shan Cammack was nominated chair-elect at the annual Georgia Prescribed Fire Council meeting in Tifton last week. Cammack, “burn boss” for the Nongame Conservation Section, will serve a one-year term as chair of the council’s board starting in fall 2014. Research by Nongame botanist Dr. Mincy Moffett into managing endangered Tennessee yellow-eyed grass is published in a paper co-authored with Robert Boyd in Castanea, journal of the Southern Appalachian Botanical Society. The state Department of Economic Development created the Paul Nelson Award for Outdoor Recreation and Preservation, honoring the former assistant director of DNR State Parks & Historic Sites and his legacy of preserving Georgia’s natural resources. U.S. Fish and Wildlife Service veteran Michael Lusk began work this week as project leader of Okefenokee and Banks Lake national wildlife refuges. Oct. 4: Bluestems and Bluejeans: Native Plant Sale (9 a.m.-2 p.m.) and Family Event (children’s activities, 10 a.m.-1 p.m.), State Botanical Garden of Georgia, Athens. Oct. 4-5: 17th Annual Outdoor Learning Symposium, Environmental Education Alliance of Georgia, Oatland Island Wildlife Center, Savannah. Oct. 5: 19th annual CoastFest, 10 a.m.-4 p.m., DNR Coastal Regional Headquarters, Brunswick. "Trip to another bog with Carrie Radcliffe," Southern Appalachian Plant Society of North Carolina and North Georgia blog. Also: Part 2 and "A program on mountain bogs in North Georgia with Carrie Radcliffe." 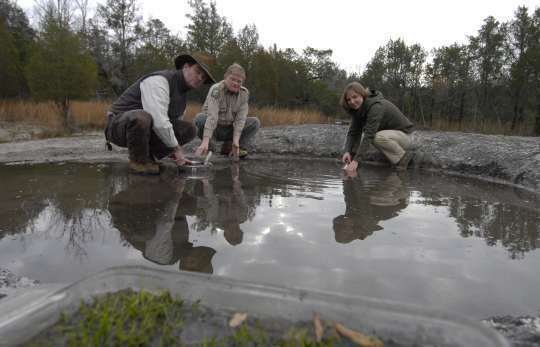 Endangered mat-forming quillwort has taken to a manmade pool of granite on Plum Creek property in the Georgia Piedmont. The timber company created the pool in partnership with the U.S. Fish and Wildlife Service and the State Botanical Garden of Georgia. Mat-forming quillwort is a small, aquatic plant that grows in rain-filled pools on granite outcrops in the Piedmont. The globally imperiled species is known to exist at only eight sites. Two are on Plum Creek land. The State Botanical Garden grew plants harvested from one of those pools in 2012, and moved the quillwort early this year to the pool carved by jackhammers, diamond saws and a skid steer with a rock breaker. Pictured, from left, are Fish and Wildlife Service biologist Jimmy Rickard, DNR Nongame botanist Tom Patrick and Plum Creek senior wildlife biologist Kyla Cheynet transplanting quillwort in January. Cheynet said in an email this month that the mat-forming quillwort is not only thriving, it’s expanding (below). More photos.